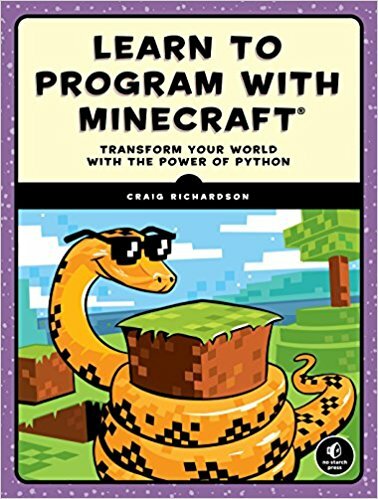 Lately I bought above book as I wanted to start teaching my 9 - years old kid how to script a bit w/Python in his beloved Minecraft world. The book is great, but for one thing. Its first part is about installing Minecraft, Spigot server and Python API on Windows or Mac or Raspberry-PI (w/some Debian/Ubuntu based distro on board). As we run Fedoras on our laptops (and on my server that is a physical machine placed in our basement) I had to somehow make it work in our environment. So the scenario here is that Minecraft client (game) will be run on laptops while Spigot server will be run on the Fedora 27 server inside of systemd-nspawn container. Thanks to running it on container we will not contaminate server's libraries. You may of course install all of this on your laptop instead having server and game running on same host (localhost). This step is not needed at all. I just wanted to have Minecraft server installed under systemd-nspawn container. I will not elaborate here about creating containers as this is totally another matter. Now we need to install Python API library. Most internet guides tells about running sudo pip3 install .... I don't like it as this would pollute your global Python path with some Minecraft API library. C'mon.